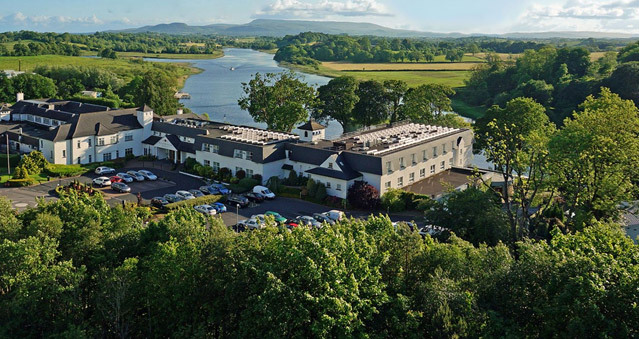 4* Killyhevlin Lakeside Hotel & Spa in Eniskillen, County Fermanagh in Northern Ireland. Idyllically set on the shores of scenic Lough Erne; this lakeside hotel features 4-star accommodation, Elemis Spa and Health Club. Surrounded by private grounds and lakeside gardens, this family run hotel is located only 1km from the historic town of Enniskillen, County Fermanagh considered to be the gateway to the West of Ireland.